Miyamoto Musashi was the child of an era when Japan was emerging from decades of civil strife. Lured to the great Battle of Sekigahara in 1600 by the hope of becoming a samurai--without really knowing what it meant--he regains consciousness after the battle to find himself lying defeated, dazed and wounded among thousands of the dead and dying. On his way home, he commits a rash act, becomes a fugitive and brings life in his own village to a standstill--until he is captured by a weaponless Zen monk. The lovely Otsu, seeing in Musashi her ideal of manliness, frees him from his tortuous punishment, but he is recaptured and imprisoned. During three years of solitary confinement, he delves into the classics of Japan and China. When he is set free again, he rejects the position of samurai and for the next several years pursues his goal relentlessly, looking neither to left nor to right. He becomes a reluctant hero to a host of people whose lives he has touched and been touched by. And, inevitably, he has to pit his skill against the naked blade of his greatest rival. 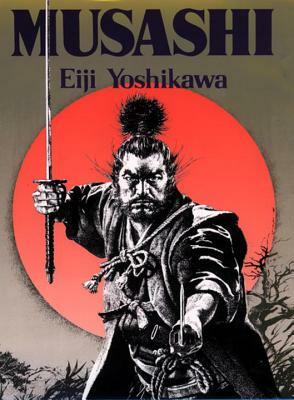 Musashi is a novel in the best tradition of Japanese story telling. It is a living story, subtle and imaginative, teeming with memorable characters, many of them historical. Interweaving themes of unrequited love, misguided revenge, filial piety and absolute dedication to the Way of the Samurai, it depicts vividly a world Westerners know only vaguely. Full of gusto and humor, it has an epic quality and universal appeal. CHARLES S. TERRY, the translator, was born in Mississippi in 1926 and graduated from Duke University. He first studied Japanese in the U.S. Navy during WW II and after the war received a master's degree from Columbia University in Japanese history. Resident in Japan since 1952, he also received a master's degree in Chinese history from the University of Tokyo and has since been active as a translator of works on Japanese art, architecture and history. He died in 1982.